VISTAS is committed to promoting the personal growth and independence of individuals with vision impairments through specialized education and accessible enrichment opportunities. We provide essential consultative, instructional, and diagnostic services for students from Pre-K through 21 years in a range of public and private schools. We also provide educational services in the community. Our team of certified professionals is committed to centering students’ individualized learning needs and abilities to help them reach their full potential. Direct student instruction and staff consultation that address areas of the Expanded Core Curriculum for Visually Impaired Youth. 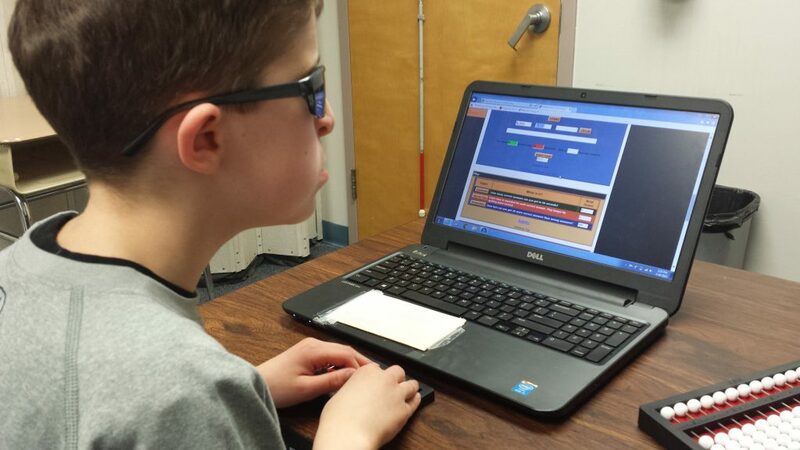 Conversion of print curricular materials into accessible electronic documents, braille files, and tactile graphics. Essential evaluations to determine appropriate educational goals and needs. Camps, Saturday classes, field trips, and special events in community settings.